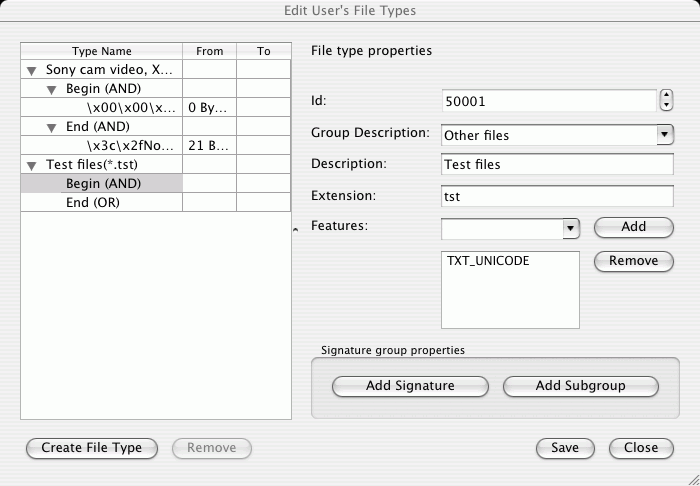 You can do that either by using the R-Studio's graphic interface or by direct editing the known file description file specified on the R-Studio Main settings dialog box. The easiest way to add your own is to use the R-Studio's graphic interface. NO_SCAN : Not to be scanned for. If this flag is used, R-Studio will not search for such file type. Such files will be shown when sorting files by their extensions. TXT_ANSI : The file can be viewed as ANSI text. If this flag is specified, the file can be correctly represented as an ANSI text. When previewing, this file will be immediately sent to Text/hexadecimal editor . 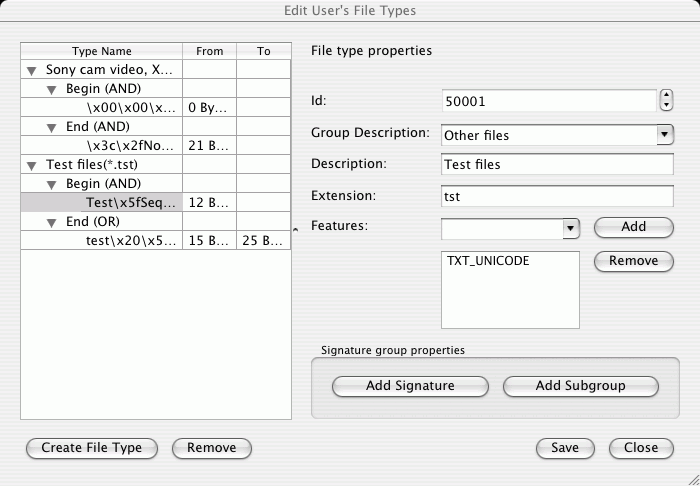 TXT_UNICODE : The file can be viewed as UNICODE text. If this flag is specified, the file can be correctly represented as a UNICODE text. When previewing, this file will be immediately sent to Text/hexadecimal editor .